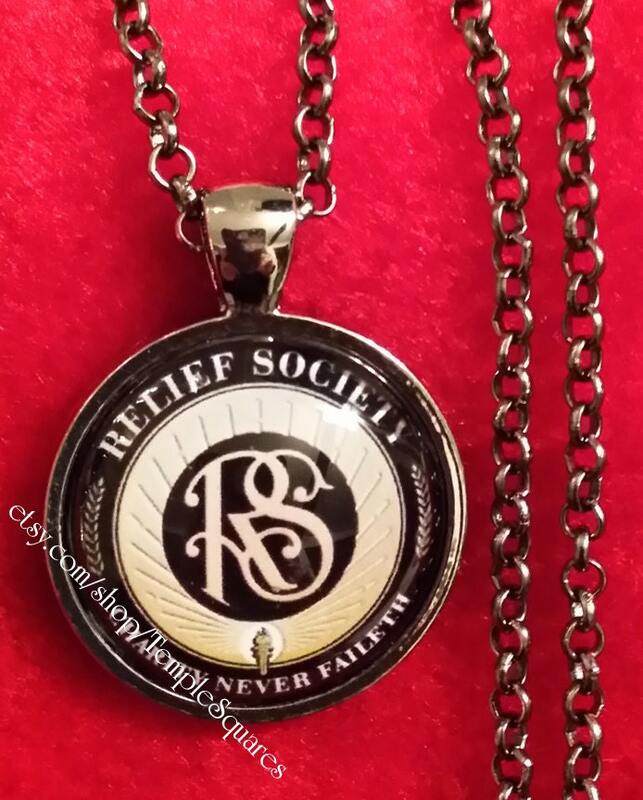 Relief Society Emblem Pendant Necklace LDS Charity Never Faileth. Beautiful 1" glass and shiny silver or gun metal setting. 24" shiny silver plated or gunmetal chain. 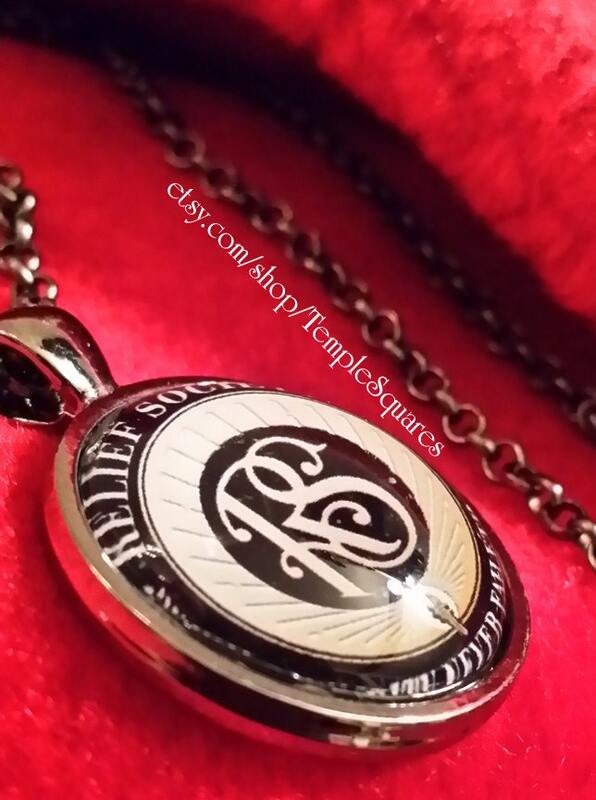 Beautiful gift for Relief Society President, Counselors, Secretary, Visiting Teaching or for yourself :) We give one as a gift to each Young Woman graduating YW and entering Relief Society. Beautiful LDS gift. We had a tree branch that we hung them all over and gave them to all the sisters that attended the Relief Society Birthday Party. They were a huge hit. See the matching Relief Society Presidency Binder set or print a matching picture to go with the gift. Nice baptism gift, missionary gift, Visiting Teaching gift. Wonderful reminder of the great organization we are a part of. NEW!! 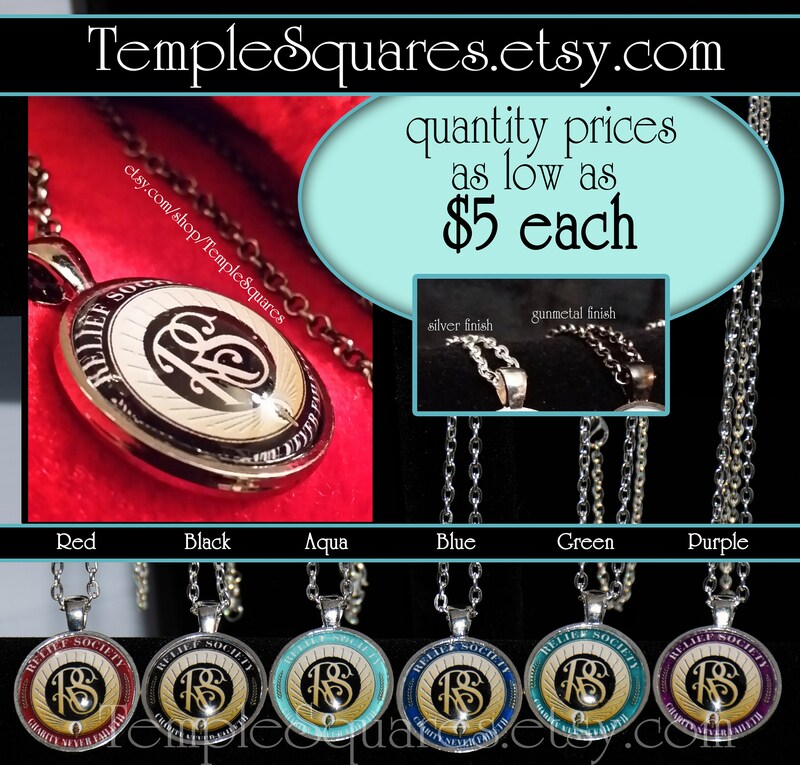 6 beautiful colors to chose from and two chain and setting colors to choose from. ** see picture for choices. I will try to ship to most countries. I will contact you if price is different than posted when ordering.